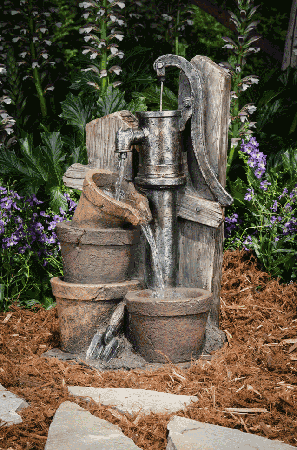 Country charm style makes this playful fountain a darling accent piece. 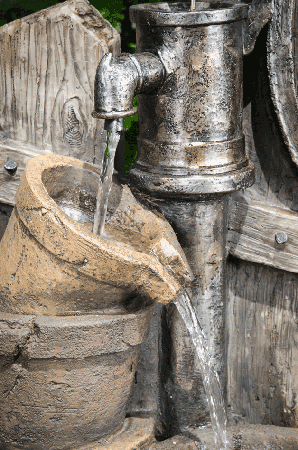 The three tiers give plenty of waterfall sound to this lighted fountain. 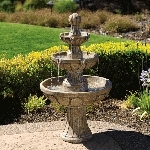 Standing 24" tall this Countryside water fountain can nestle in the greenery of your garden or stand alone on a patio.